Knowing “One Size” does not truly “fit all”, we customize Big Red Stormwater Products to fit your needs! 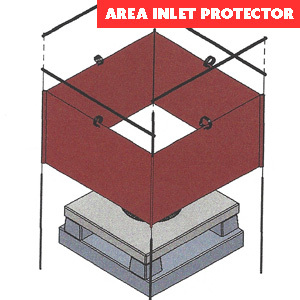 front of the inlet, make sure it lays in the contour, and you are DONE! and stiff iron supports to last as long as you need it. 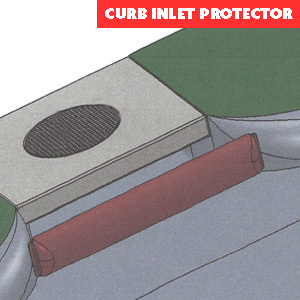 For correct installation, trenching the bottom 6 inches is critical. The Big Red High Flow Silt Fence is a very strong, permeable fabric installed on wood posts at 10’ centers. 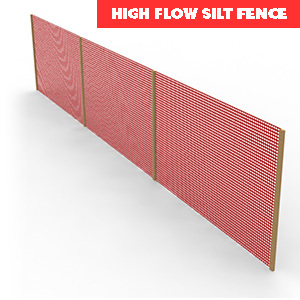 The Big Red High Flow Silt Fence is made of highly durable permeable fabric and stout hardwood posts. For correct installation, trenching the bottom 6 inches of the fabric is critical and installing the ends of the check to a point high enough as well. Copyright © 2019 Big Red Stormwater. All rights reserved. Site by CS Design, LLC .